Hurray! A long weekend approaches and I'm chill. It's Waitangi Day on Monday in New Zealand, a commemoration of the signing of the treaty between the british empire and the maori. The Treaty of Waitangi is the founding document of the country and an opportunity for us all to watch the Sevens, go to the beach, have a bbq and watch politicians waxing lyrical on television. So, lets kick on. Here are my five favourite things this week. 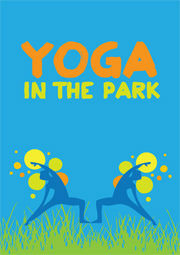 If the weather holds tomorrow I'll be moving, breathing and relaxing my way to a peaceful Saturday with Yoga in the Park. It's free, just bring a mat. See you in the gardens at 10am. The weather has been overcast and chilly for the last few days. It reminds me of this moody Feist video. It makes me groove. Check out her My Moon My Man clip, aren't those airport travelators so much fun?! Throw the old water crackers on the compost theres a new snack in town. I'm nuts for these walnut oat crackers! Quince paste and camembert. yum gurgle drool. Freaking terrible photography sorry (It's Friday night, gimme a break). I have a crush on Aubrey Plaza, the queen of deadpan. Parks & Recreation, Portlandia & Scott Pilgrim. Girl, you're too cool. Since I'm talking about female artists I love, I can't really go past this classic. A glass of pinot, a cold evening inside and good speakers is all you need to slowly melt into a Tracy Chapman moment. Not even that. Just close your eyes and listen. Happy Friday Ladies of the world.